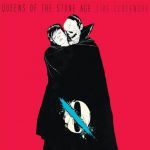 Never been the biggest fan of QOTSA but this is a fairly decent return for the guys, strong guitars mixed with Homme's dry vocals with touches of synth bring a pleasurable listening experience.<br>If your expecting a heavy album of riffery you will be disappointed though. nicht mehr die queens die ich liebe. weitestgehend zwar hervorragend eingespielt und künstlerisch hochwertig, für kenner der band jedoch eher ermüdend und enttäuschend, zu soft. einzig die single "my god is the sun" lässt noch die "alten zeiten" der band aufblitzen. auch live konnten sie mich nicht mehr so mitreißen wie einst. Meine erste QOTSA-Scheibe. Gefällt mir ganz gut, ohne den großen Kracher. I think the break has somewhat benefitted them as it just builds anticipation and reminds everyone what has been missing over the better half of a decade. And then it's no coincidence that this is widely heralded as their best since "Songs For The Deaf". Maybe it's because I haven't heard it in a while, but I always found that album hard to get into; there's just too much superfluous content that doesn't really add to it. I didn't feel that way about "...Like Clockwork", with just 10 tracks, it keeps it concise.<br><br>The album serves well both as mindless rock music to listen to without thinking, and quite the opposite applies too; there's so many interesting things going on which is no surprise considering how many talented musicians are involved in this project. Honestly the most consistent QOTSA album I've heard. It took it's time to grow on me but with repeated listens I've found myself getting more and more sucked in and this is actually a very strong and consistent album.